A 60-sheet French reward notepad which is great for letting parents know that their child has been working hard in French lessons! An encouraging French-language message will praise your pupils for their achievements in MFL. 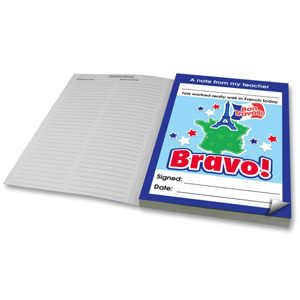 104mm x 148mm (A6), 60 leaves per notepad.